…. In what has been a legislative marathon, the update of the Administrative Adjudication of Road Traffic Offences Act (AARTO) has now reached a stage where Parliament has called for yet further consultation with the public. 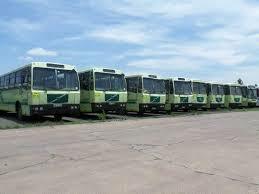 It requires on report on the situation with the e-Natis system, with provider Tasima and to hear from bus fleet owners. At the last round of hearings on the Bill after tabling, it was car hire owners and the South African National Taxi Owners Council (SANTACO) who had the most to say. The car hire association told MPs that developments in the pilot areas had reached a stage where hirers had made several vehicles “unlicenceable” because of a build-up of demerit points. There followed unpractical administration problems for the owner, which they said was not the intention of the law. Taxi operators, who will need to make returns on employed drivers, said that already had many problems when they found themselves unknowingly registering drivers with false driving details and addresses and which was culpable, resulting in fines for the owner plus receiving a double penalty of receiving demerit points. A Road Traffic Infringement Agency (RTIA) is now to be formed which will implement the AARTO system in the next financial year, each motorist starting with zero points reaching a maximum permissible twelve points when the licence will be suspended for 3 month. 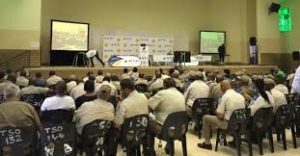 The plan now, therefore, is for the new AARTO system to start in January 2018 on a national basis learning from pilots run in Johannesburg and Tshwane. There are two systems involved. One, the most commonly used, is for driver/owners, the other is for owners who hire drivers, the latter having a demerit merit system based on regulations regarding the condition of the vehicle and driver registration. 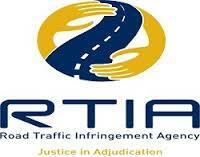 The RTIA will run a national road traffic offences register (on a similar basis to the sexual offences register) centralizing all driver infringements and offences, presumably under the umbrella of the centralised e-Natis system. The Bill describes the circumstances under which offenders are served with a warrant issued by a magistrate’s court. Now clarified in the most recent portfolio committee meeting is the use of registered mail; the necessity to allow for time for postal services to execute delivery and for rehabilitation programmes for habitual infringers and continuous offenders. DOT told parliamentarians that they have struck a deal with the SA Post Office whereby the issuing authority, whether local or municipal, will be charged a rate of R7.80 for a registered delivery. Detractors of the Bill have been the Johannesburg Chamber of Commerce and Industry, who say the demerit system will put many companies out of business and will result in “millions of vehicles” being taken off the roads causing labour issues. AfriForum has brought an urgent application to the High Court. 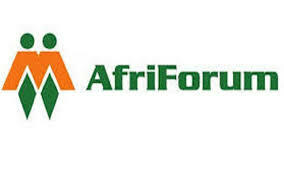 AfriForum’s legal consultant, Willie Spies, told parliamentarians that in their view it would be unconstitutional for a citizen to have to pay to exercise one’s rights, this being their interpretation of the AARTO system. The pilot system undertaken along the AARTO lines in Johannesburg and Tshwane was not apparently too successful, as observed by one metro police officer in making a report to the Portfolio Committee. He said that offenders, when served with a ticket, seemed little concerned that the result would be that they were to be served with a warrant, since experience told them that the system failed to work and there was no judicial follow up if notices were ignored. The complaining officer said that this particularly applied in the case of parking infringements. A survey undertaken by the AA and with assistance from fuel company BP was quoted in detail to parliamentarians a number of times, highlighting that there was a vast difference in outcomes between minor infringements such as parking issues; driving through orange or red robot lights; not obeying yield signs and the more serious infringements of drunken and negligent driving. It was hoped, the report concluded, that the de-merit system would reflect this difference. The survey results also indicated that 76% of South African drivers commit some sort of traffic offence on a regular or even daily basis indicating a systemic disregard of road traffic laws in SA. 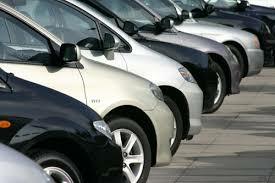 AA as a result appealed for early implementation of a demerit system to improve road safety. The view of many parties to the hearings was that to include parking infringements in terms of the AARTO system would have little effect in improving upon road safety. AARTO, later in question time, qualified this by saying that municipalities and local councils face the costs of enforcement of any system and this had to be underwritten with multiple revenue sources, whether parking infringements or not. They also advised that DOT would supply a AARTO system-training team that would visit all councils and municipalities and it was confirmed that AARTO would adopt both e-mail and text message systems for notification of fines/infringements. Stationery and ticket books are now to be printed on a six-month lead basis, they said. DOT confirmed that there were still “challenges” on cross-border matters and that the Minister was dealing with such issues. ANC MP Mtikeni Sibande expressed disquiet that local councils might not be able to implement the AARTO system in the near future for any number of reasons leading to the possibility that the system would work in some areas and not in others. The Chair said they could only be concerned with the legislation, not how government did their work. Finally, it was agreed that the Bill was nearing the point where it could go forward to the National Assembly for voting but MPs agreed that it might be wise to hear from more affected parties such as bus owners, even though hearings were now finalised. MPs agreed that they would meet further after the recess to hear the results of the High Court case on the subject and the matter of the contract renewal of previous AARTO operating company, Tasima (Pty) Ltd, and whether the e-Natis system was yet fully under the control of DOT. The meeting is due 28 May. Public comment on an AARTO Amendment Bill (administrative adjudication of road traffic offences) is being called for, the Bill eventually to be tabled by the Minister of Transport, geared to back up current road laws and strengthen compliance by facilitating payment of traffic fines. A system of “demerit points” is envisaged for offenders, a system which would it is assumed be linked into the e-NaTis traffic control IT system. The draft Bil is geared, it says, for a national roll-out, a scheme having been in operation in pilot form in both Tshwane and Johannesburg until now. Paying by cheques or queuing up at a municipal office maybe a thing of the past once the electronic aspects have been legalised and regulations brought in. The background to the draft says that the proposed Bill aims to “strengthen compliance with road traffic laws and facilitate the payment of traffic fines”. The bill will also introduce measures that “allow for the effective adjudication of traffic infringements with a Road Traffic Infringement Agency being established to give more back up to the mandate given to the authorities. Whilst the currently established traffic authorities will remain responsible for bringing offenders to court, the Agency will maintain records of road users that have failed to pay fines, review appeals by infringers and provide rehabilitation programmes for serial infringers. The proposed legislation also clarifies the process whereby non-compliant offenders are served with a warrant issued by a magistrate’s court. The bill also seeks to put in place electronic forms of communication. The department of transport are calling for public input until 22 March. An investigation has been called for Parliament’s portfolio committee on transport on facts that emerged from the Auditor General’s report on the department of transport that the e-NaTis contract was renewed for a further period with the existing outside contractors without ministerial consent.